If you haven't heard of Cecil the lion then you clearly live under rock. As the WORLD mourns this poor creature, Ty Inc. is giving consumers the opportunity to own a piece of Cecil's memory. 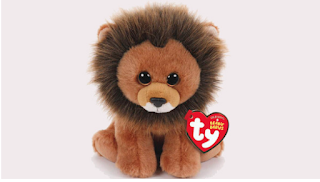 Our guess is that these adorable furry stuffed animals will fly off the shelves - especially since a 100% of the profits go to WildCRU, the Wildlife Conservation Research of the University of Oxford that was studying Cecil. Still, we can't help but think that this should go in the category of "too soon." Labels: Cecil, lion, Stuffed Animals, Ty Inc.